With 700 islands dotting over 100,000 square miles of ocean, The Bahamas are an ecological oasis boasting the clearest waters that can be experienced the world over. With a visibility of 200 feet this archipelago located from 50 miles off the coast of Florida effortlessly blends reality with dream like locations. 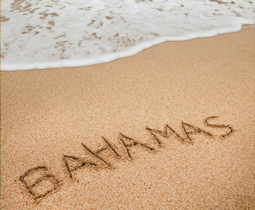 While this might seem like an arduous challenge, visiting as many of the islands as possible will greatly add to your appreciation of its essence as a whole – from the uniqueness of culture steeped in rich history to the warm and enthusiastic welcome reserved by the Bahamians themselves. You will find it written that a more beautiful place on earth is near impossible to find. The beauty of the islands is completely natural and, as such, even more captivating and enchanting. The Islands of The Bahamas have gone through various colonization and settler experiences but the most interesting page in its history relates to its Age of Piracy where, due to its shallow waters and 700 islands, hiding places for treasure were in abundance. Privateers and famous pirates such as Blackbeard, Calico Jack, Anne Bonny and Mary Read all took advantage of its strategic position and stashing opportunities. Rumours abound that some treasures are still hidden amid its islands to this very day. The official language is English. The population is very friendly and sociable – always eager to share stories about their culture and history. However, the beauty of the archipelago does not preclude from the variety of fun and interesting activities vacationers can pack their days with.